The holidays in Boston are unlike any other. Storefronts and restaurants are decorated for the season, the parks’ trees are strung with delicate Christmas lights, and spirit of the holidays permeates the entire city. Boston offers a number of fun activities during the winter months, so take a look at the schedule and plan a trip downtown. The biggest celebration of the year is First Night Boston, which takes place on New Year’s Eve in Copley Square and Boston Common. More than 1 million people attend this family-friendly event, which kicks off during the day with ice sculptures, crafts, entertainment, and an awe-inspiring parade. A spectacular fireworks display explodes over Boston Harbor when the clock strikes midnight, so what better way to ring in the new year? Celebrate New Year’s Eve with the Boston Pops or spend the evening with the Boston Ballet as they perform “The Nutcracker.” Spend the day touring Boston’s many museums and enjoy a bite to eat before the performances. If you’re looking for more cold weather activities, stop by the Frog Pond in Boston Common, just across the street from the Hampshire House, and put on your ice skates. The Skating Club of Boston is also offering a free show on New Year’s Eve from 6 to 7 p.m. Recently named the top outdoor skating rink in the country by USA Today’s 2017 Readers’ Choice Awards, the Frog Pond is open every day with evening hours for nighttime skating. Tickets are $12 for adults, $6 for children, and free for kids under 58 inches. Season passes and skating lessons are also available. The party doesn’t end once the clock strikes midnight. New Year’s Day is chock full of fun activities, including the L Street Brownies’ annual Polar Plunge, which takes place at 10:30 in the morning. For more than 100 years, this has been one of the city’s oldest traditions. More than 600 people are expected to jump into Boston Harbor’s freezing cold water. The Boston Wine Festival, the longest running food and wine event in the nation, kicks off with the grand opening reception on January 12. 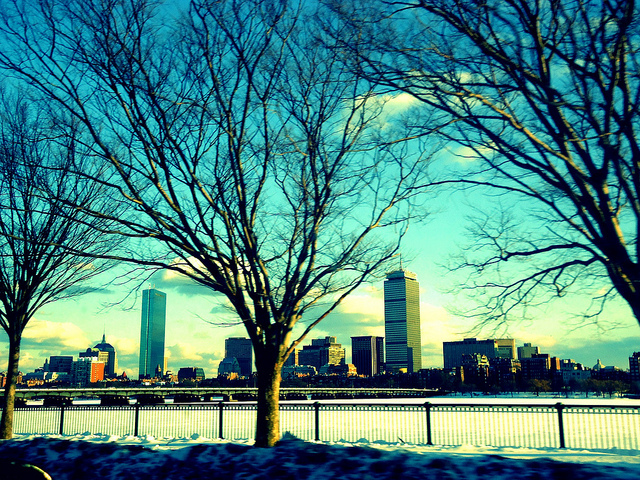 People from all over the country fly in to Boston to enjoy the festivities, which take place through the end of March. The event features dinners that celebrate a specific wine as well as seminars, brunches, and dancing. This two-month event is a celebration of food and wine, and should not be missed. The New England Aquarium, located in the city’s North End, is another exciting way to spend the day. Visit the aquarium’s 80 penguins, check out the 150-pound giant octopus, and learn about the habits of the northern fur seal and Atlantic harbor seal. Get to know the sharks up close and personal in the touch tanks, and view a variety of interesting specimens like the lionfish and the leafy sea dragon. It’s open Monday through Friday from 9 a.m. to 5 p.m. and from 9 a.m. to 6 p.m. on weekends. Forget hibernating during the cold months — Boston has activities to keep you busy all season long. Congratulations on your engagement! Now the real fun begins: Planning for the big day. 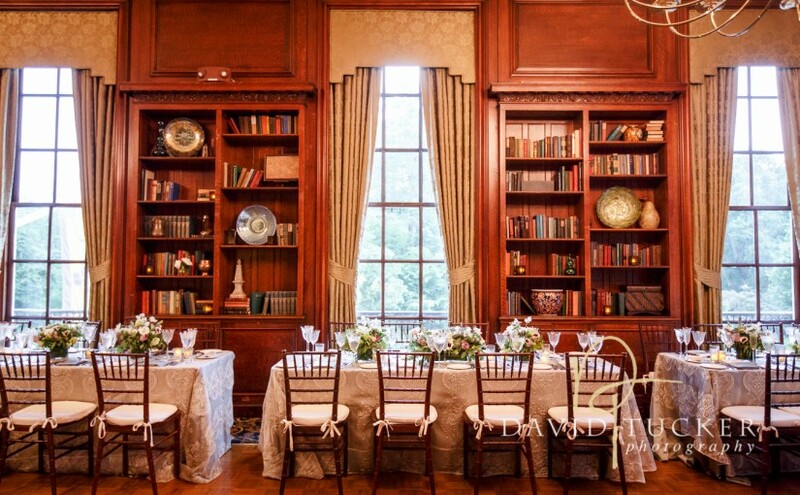 Massachusetts’ premiere wedding venue, Hampshire House, located in downtown Boston across the street from the Public Garden, cordially invites you to our annual engagement celebration. This two-hour event will give grooms- and brides-to-be the opportunity to view the Hampshire House venue and meet potential vendors while enjoying cocktails and hors d’oeuvres. Our annual celebration puts you face to face with some of the top wedding vendors in Boston, from florists and musicians to photographers and caterers. You’ll view (and sample) their work firsthand while asking questions and learning more about their services. Never mind making endless appointments and researching countless merchants online. We bring the professionals to you, all in one beautiful setting, so you can truly envision your big day. You’ll also get to explore the elegant Hampshire House, with its crystal chandeliers and exquisite décor. This historic turn-of-the-century mansion harkens back to the glamourous days of the early 1900s. You can just imagine making your entrance on our grand staircase and treating your guests to cocktails next to one of our cozy fireplaces. Just one look at our magnificent setting, which overlooks fashionable Beacon Hill, and you’ll fall in love. We couldn’t think of a better place to host your wedding. The celebration takes place Thursday, January 25, from 6 to 8 p.m. Bring your 2018 planner so you can take plenty of notes with all we have to offer. Feel free to ask family members or your maid of honor to tag along. Please RSVP online or call 617-854-7628.